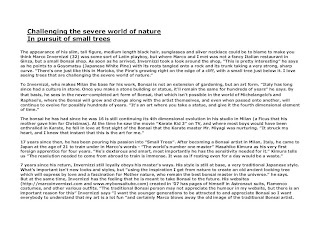 If you haven't received it, this is as per an email I received yesterday- an article published in Newsweek featuring Marco. 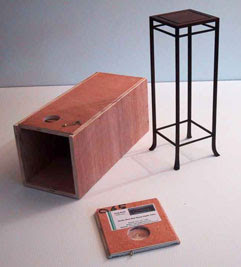 This weekend sees the arrival of one of the now famous (or is it infamous?) Burrs weekends. 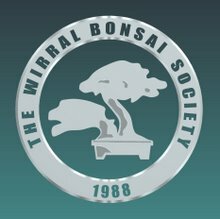 Highlights apparently include a Friday night bonsai pub quiz- and an artist demo at 10.pm Saturday night -sounds intriguing!! Those who are going should be warned though, watch out for the 'pumpkin' soup!!!! 'Clutching at our very souls, the trees now pull us to a time when light loses its importance, a time when trees are transcending into a deep dormancy after a year of racing toward the sun. 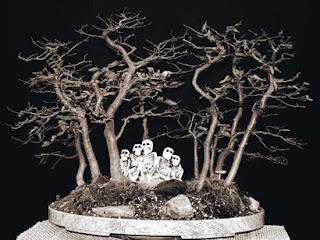 Life giving foliage is discarded like a mask, revealing all, but showing less; leaving only skeletons and shadows that are but a pale reflection of the past. The days grow shorter and things that normally could not be seen in the light of day are now all too visible. 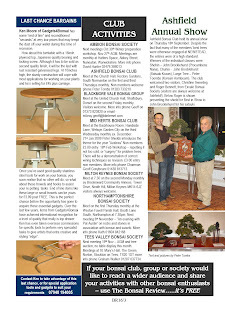 Follow the link below to go to a site detailing the Woodland Trust's Ancient tree Hunt. 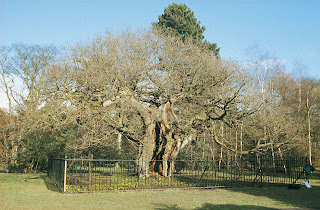 Quote "There might be as many as 500,000 ancient trees to be found in the UK. And we need your help to find them and put them on the map. This will be the first step towards caring for them and securing their future." 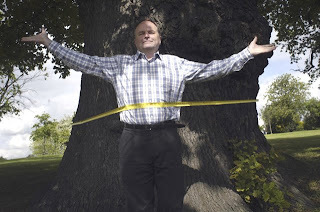 Clive Anderson gets the measure of things! "We're asking people to look out for and record trees which are particularly old, fat and gnarled said Woodland Trust President, Clive Anderson, so obviously I am just the person to get this message across. 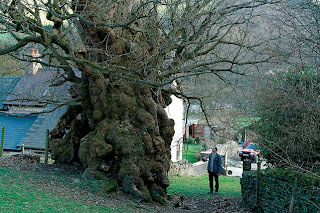 The sort of size we are after is a tree, perhaps an oak, which is so big that it would take you and at least two or more friends - to hug it all the way around, finger tip to finger tip. Perhaps you pass a great old tree every day, it probably has a great story. We'd love you to tell us about it." Did you know the official British standard HUG is based on the finger tip to finger tip measurement of an adult, which we take to be about 1.5m. This distance is usually almost the same as your height, and means you can measure a tree even if you forget your tape measure! 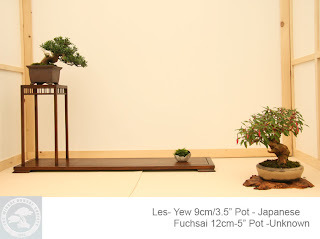 Our Dougie has just launched a new web site highlighting his custom bonsai table production. 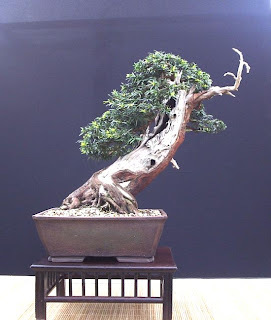 As many of the club and a growing number of major figures in the bonsai world are discovering, Doug's tables are excellent and his skill in helping to match tree, pot and table is 1st class. Click the link below to discover Doug's new site. The link will also be permanent under 'members sites'. Congratulations are in order for both Lee and Les. 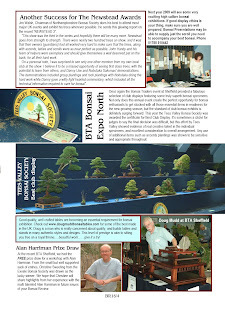 On exhibiting trees at last weekends BTA meeting at Sheffield, Lee received best in category gold for his Juniper and Les achieved the same for his Shohin Yew plus also being highly commended for his Fuchsia. 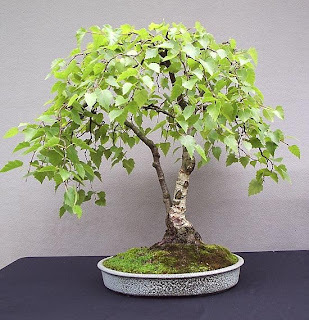 By way of a reminder for experienced exponents and as an introduction for many of the new members of the club, Ian this month will be going over some of the basic skills and knowledge involved in developing your trees. 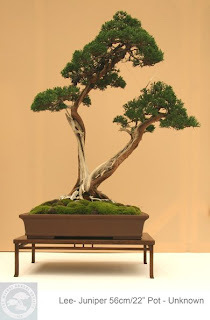 I'm sure this will involve many of the how's, why's, where's and when's of bonsai. Whenever the basics are revisited I'm always surprised by some details that are either new or have been forgotten, so see you there for either a refresher or the gaining of new knowledge. 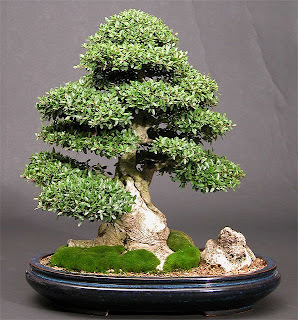 Bonsai site of the month- October. 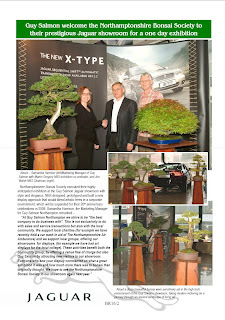 This months site of the month is actually two dedicated to choosing the right pot for your tree. Both highlight the issues involved and putting the issue forward now should allow us all plenty of time to select and acquire any new pots required for next years repotting.